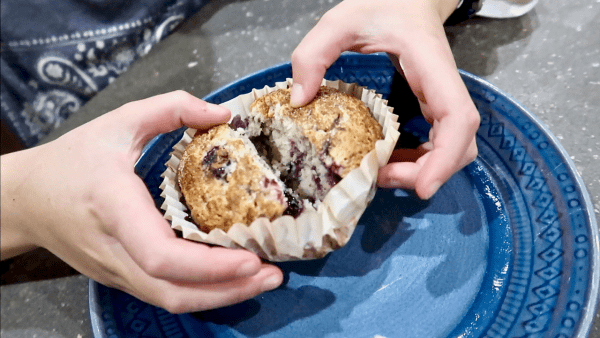 1 Cup BlueBerries Ones you Picked make the Muffins that Much Better! Combine the Flour, Sugar and Baking Powder in a large bowl and mix for a minute. Combine the Egg, Oil and Milk in a different bowl and mix well. Making sure the yolk is scrambled. Mix into the flour, sugar and baking powder. Fold-In the BlueBerries. 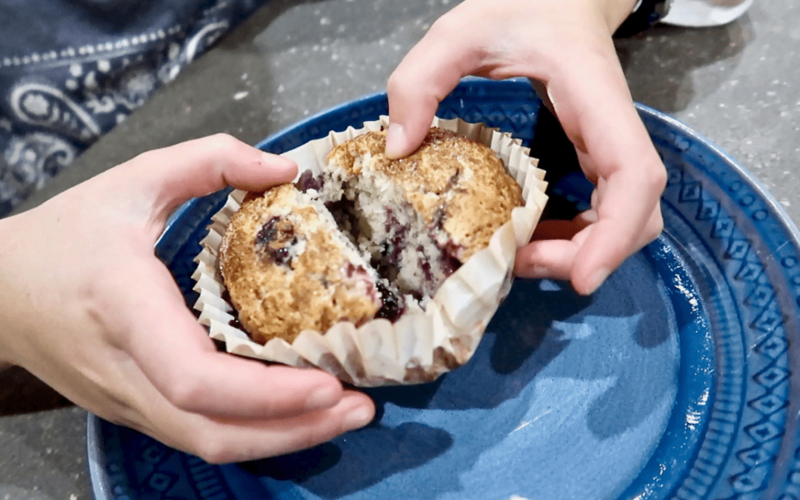 Fill the muffin cups, smooth out the mixture in the tins and sprinkle with a cinnamon and sugar topping mixture. To make cinnamon and sugar topping mix 2 Tablespoons of Cinnamon with 2 Tablespoons of sugar. Sprinkle on top of the muffins before you bake them. Bake in your 400℉ preheated oven for 20-25 minutes! Al says to serve warm with Butter! Olivia says No BUTTER!